A U.S. plan to add oomph to AI research reflects anxiety about Chinese advances, and may give firms confidence to invest in smart systems. But it’s mostly symbolic without funding on basic research and openness to foreign talent. That jars with President Trump’s other priorities. 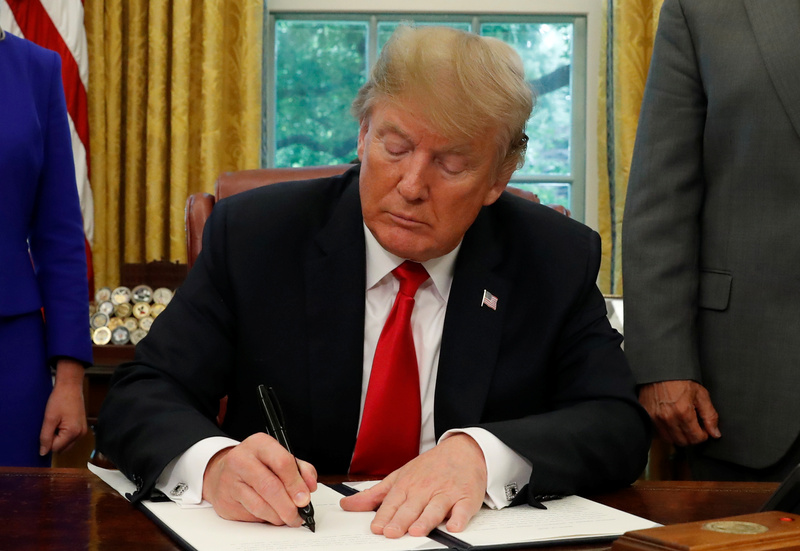 U.S. President Donald Trump signs an executive order on immigration policy in the Oval Office of the White House in Washington, U.S., June 20, 2018. President Donald Trump signed an executive order on Feb. 11 that requires U.S. government agencies to make research and development in artificial intelligence a priority. It would also give AI researchers broader access to government data to help them better develop applications and other products.